Announced in July 2001, the iMac (Summer 2001) represented a minor change to the existing iMac line, and represented a shift back to a more conservative color-scheme. The iMac (Summer 2001) was initialy available in three configurations. The 500 MHz model, with 128 MB or RAM and a 20 GB hard drive was $999, and was available in Indigo and Snow. The 600 MHz model, with 256 MB or RAM and a 40 GB hard drive, was $1,299, and was available in Graphite and Snow. Finally the 700 MHz model, with 256 MB of RAM and a 60 GB hard drive was $1,499, and was available in Graphite and Snow. A low-end $799 configuration was later added, with a 500 MHz processor, 64 MB of RAM, a 20 GB hard drive, and a CD-ROM drive, and was available only in Indigo. 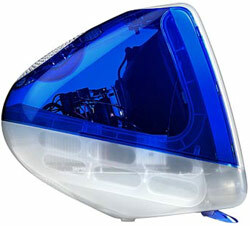 Following the announcement of the new G4 Flat Panel iMac in January 2002, the iMac "G3" was repriced. The 600 MHz model, with 256 MB of RAM, a 40 GB hard drive and a CD-RW drive, was available in either Snow or Graphite for $999. The 500 MHz model, with 128 MB of RAM, a 20 GB hard drive, and a CD-ROM drive, was available only in indigo for $799. The 700 MHz model was terminated.